Ever wanted to get up close and personal with your beloved creation within Paradox’s Cities: Skylines? 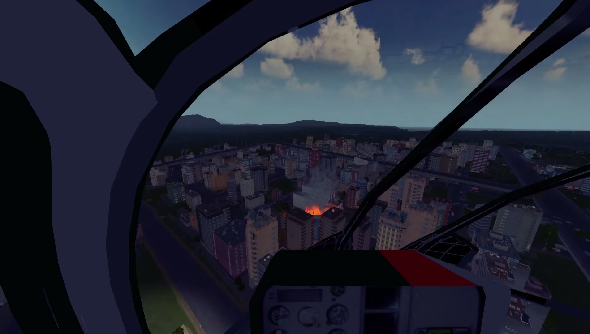 Well now you can, with this CityCopter mod, which puts you inside your very own touring helicopter. The mod is in Early Access on Steam, but is well worth checking out if you’re looking for a more in depth look at life within your cities. We’ve got a trailer of it in action below the break. Want more Cities: Skylines? Here are the best Cities: Skylines mods. If you want to pick it up and try it for yourself, just head on over to the mods Steam Workshop page; it’s absolutely free too. I think I’ll use this to roleplay as a city touring agency. If you’re hungry for more interesting mods, check out our gargantuan best Cities: Skylines mods.